And I can summarize this episode in two words. Seriously. Want to hear them? NOTHING HAPPENED! See? Two words. Now, that is not to say that somewhat significant events didn’t occur, but the plot has basically stagnated and there is no forward movement whatsoever. What looked like maybe hopeful progress in the previews from the 8th episode turned out to be NOTHING. Oh, the disappointment. Curse you writers for turning what could have been a good drama to…I almost want to say trash, but think that’s a bit too harsh. Well, Kiyama seems really affected by Rei’s desperate plea for someone to save her, but what can he really say to comfort her? Anywho, he takes her back to the ward office and gives her an umbrella. 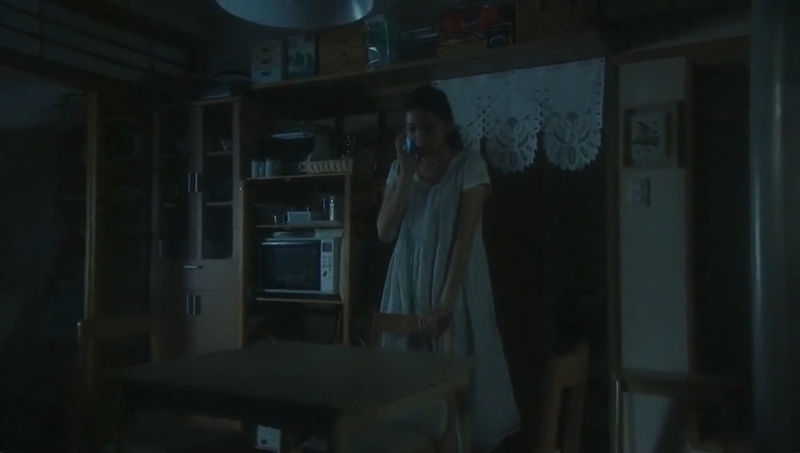 She goes home and notices the missed call from Ayukawa. 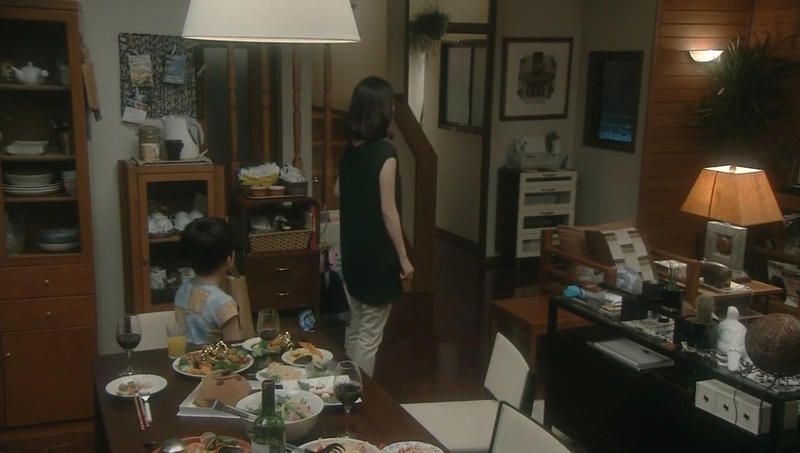 She immediately calls him back and the two arrange to meet (he has to fly in from Otoru). Well, he was getting completely schnookered. Yep, nothing solves problems like alcohol. I wonder why Rei didn’t pick up on his oddness when he said he wanted to confirm it not just for her sake, but for his own as well, but she didn’t. Rei is sitting on the usual bench the next morning and Kiyama asks what happened. 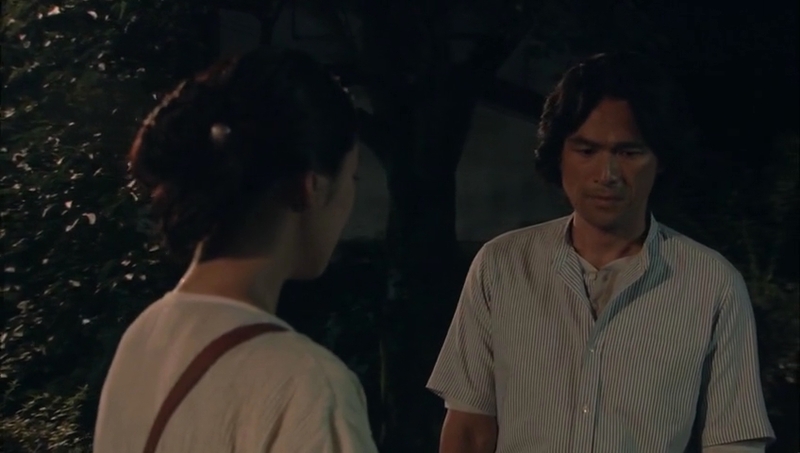 She tells him about agreeing to meet with Ayukawa to do the DNA test and Kiyama promises to wait with her as he doesn’t want her to be alone with a man who beat her mother violently. Good point. He goes home where Kataoka (why have I been calling her Takaoka all of this time?) asks him to go birthday shopping for Naoto. Kiyama refuses and that makes her instantly unhappy as he is now devoting more and more of his personal time to helping Rei. Kiyama and Rei wait for Ayukawa at the arranged place, but he is running late. As soon as he touches down he is in instant pain in his lower back. Okay, correct me if I’m wrong, but I thought he had a brain tumor? Why is he having back pains that are making him pass out? 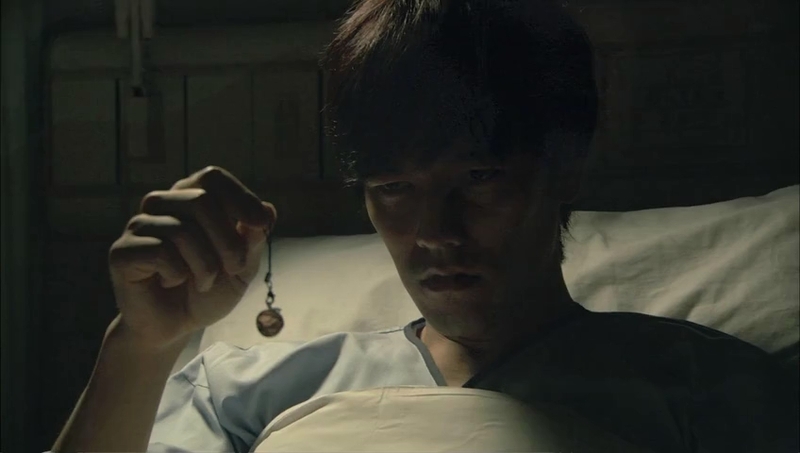 I’m missing something (earlier in the series when we learned he was sick he missed a call from Rei due to intense pain in his head). Anywho, Rei calls and he answers, but the pain gets too intense and all he can do is moan and then pass out. Rei apparently doesn’t hear the moan and wonders why there was no sound after the connection. She calls him back, but it goes to voice mail. Kataoka and Naoto see the two together and Kataoka sends her son over. Naoto demands to know what he’s getting for his birthday. Rei is surprised by the little boy, but even more surprised when Kataoka shows up and tells her that a part of her family has been under Rei’s care. Well, this knocks Rei for a loop and her attitude towards Kiyama automatically changes before he even has a chance to explain. She sends him home to be with his “family” while she continues to wait. She does promise to keep him apprised of the situation. Charlotte reopens and Abekawa announces to go about business as usual and report any people asking after Rei to her. The staff ask what will happen to Rei and Abekawa says she will be holding on to the resignation form. The staff wonder if its because of the article and what happened at the store. Abekawa only says that Rei cited personal reasons and announced that she was moving to Hokkaido. 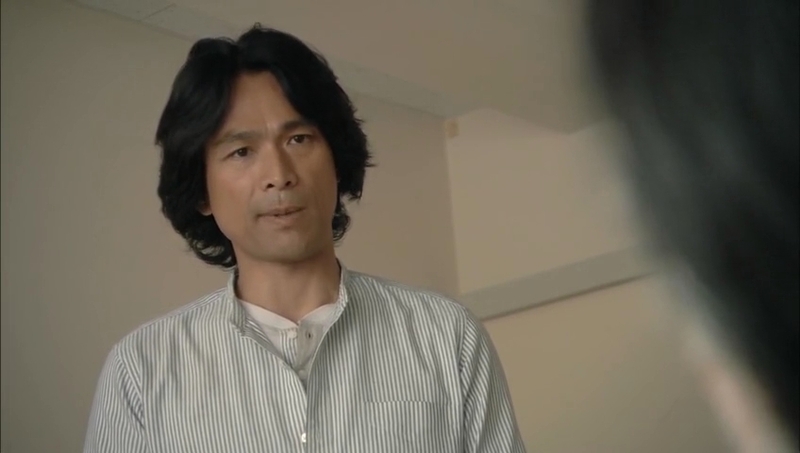 Abekawa is then told that a birthday cake request came in for Rei. Thus the packing Rei is called in to work to make this one last cake. Grandma Tanizaki meets with Yoko. She’s sad to see the family packing and leaving. She complains that it seems like Natsume is stealing the grandchildren away. It’s a semi-serious complaint. You know she’s hurting that her precious grandchildren will be moving farther away and she won’t be able to see them like before. Kusano goes to the store and overhears Rei is taking time off. Poor boy feels guiltier. It’s really not his fault, but he believes it is. Meanwhile, Rei is actually there working hard on ideas for her final cake. She leaves work and runs into Kiyama. 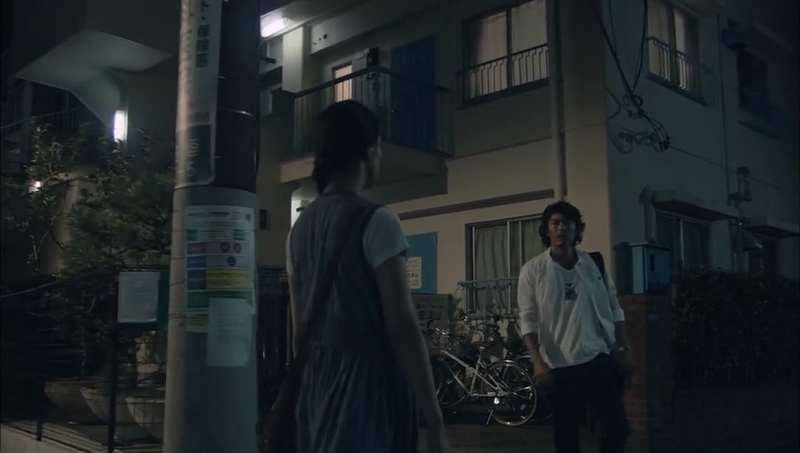 She tells him nothing further happened and she cannot reach Ayukawa. Kiyama asks if Rei changed her mind and plans on staying, but Rei explains the cake situation. She also is unhappy that she’s been taking up so much of his time. He should be with his family and not doing all he has for her. She even tells him to forget what she said about saving her. Sigh. Well, this really shows you how much she liked and depended on him. Of course, Kiyama doesn’t listen and continues to do his best to help Rei. Tadokoro is asked by Kiyama’s coworkers for help in locating Ayukawa and the woman says she cannot abuse her power like that. She then warns Kiyama to stop getting so personally involved—it isn’t good. Well, truthfully, he has gone above and beyond the call of his duties and he still has to help other at the ward office. Does Kiyama listen? Of course not. Nakatsu comes in seeking advice and counsel. He really thought he was doing something good—how could things turn out so bad? Kiyama explains that is the reason he quit being a reporter. Wow. What great advice. 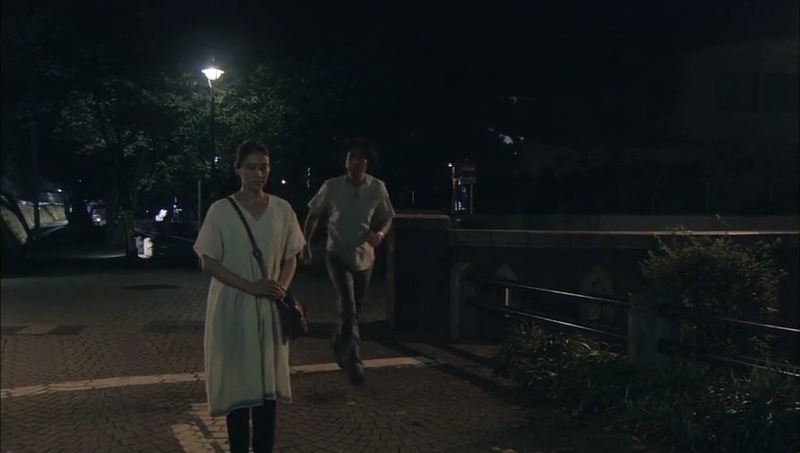 After this, Kiyama pays a visit to Natsume (after getting some info about the incident from Nakatsu). 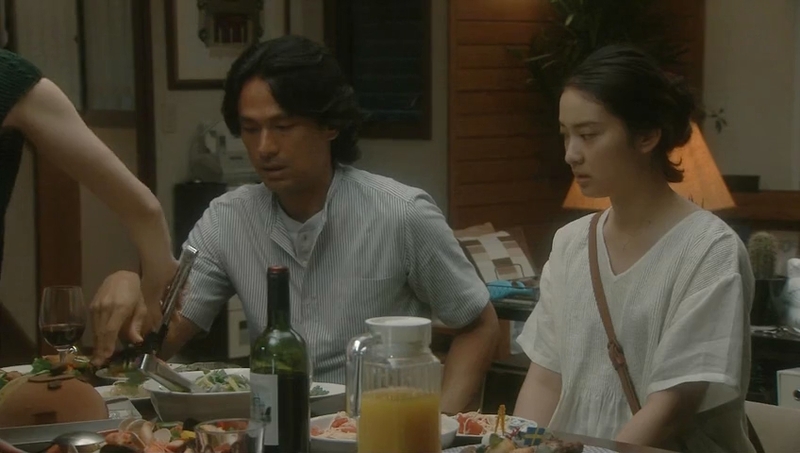 Natsume warns Kiyama away from helping as it could destroy Rei’s family. Rei continues to work on the birthday cake while Ayukawa wakes up in a hospital. 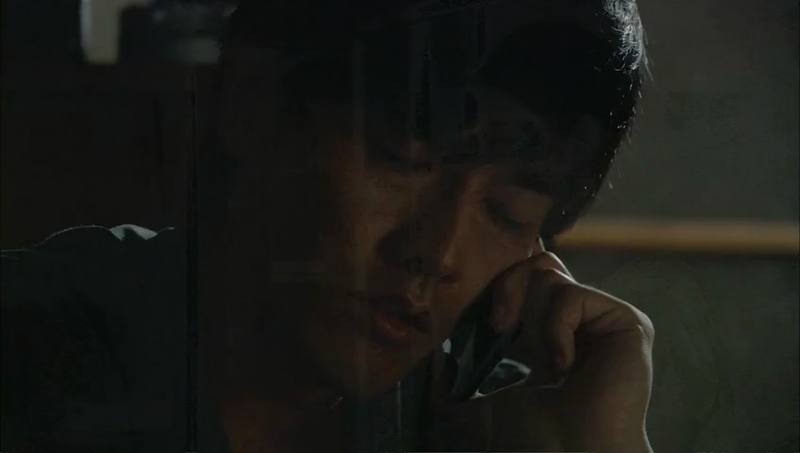 He sees that he has missed several calls from Rei, but he can’t call her back as he is still too weak. Rei and her mom are almost done packing everything when Mao comes home. She says she is still attending club practice as tennis is the only thing she is good at and she wishes to do well in her last tournament here. Rei then later tells her mom about the birthday cake and not losing to Mao. This makes Yoko starting thinking if this is really the right decision. Wow. Just wow. Although, this was Rei’s decision to begin with and not Yoko’s. Rei finishes one version of the cake and takes it to Natsume to test. 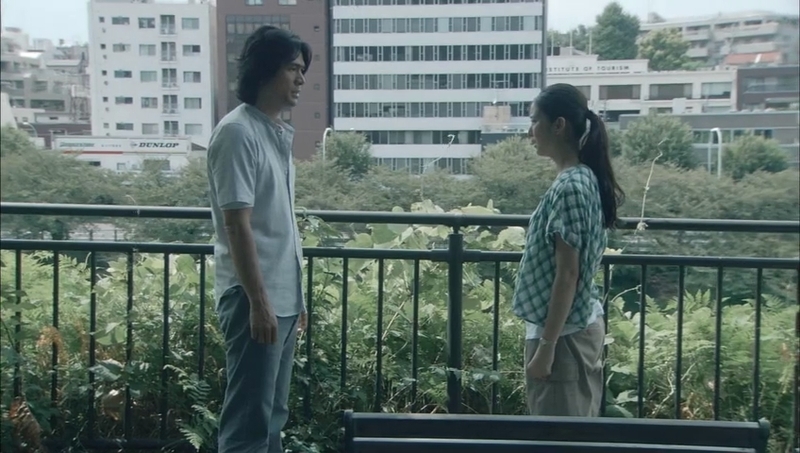 He tells her about Kiyama visiting looking for Ayukawa. This surprises Rei. Looks like Natsume likes Kiyama (even if he doesn’t like the fact he’s trying to find the truth for Rei). 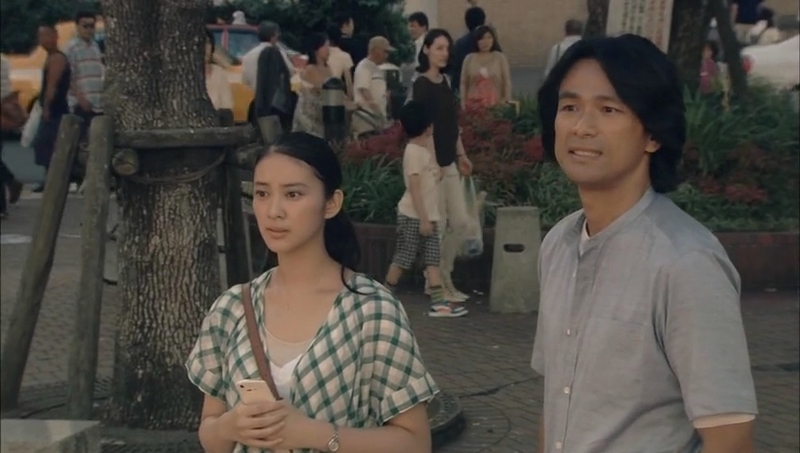 Rei goes home and meets Nakatsu. He apologizes for what happened—the fallout wasn’t his intent. He only wanted to shed light on the problem so society could help those unfortunate children. He then says that Kiyama even tried to stop him, but to no avail. 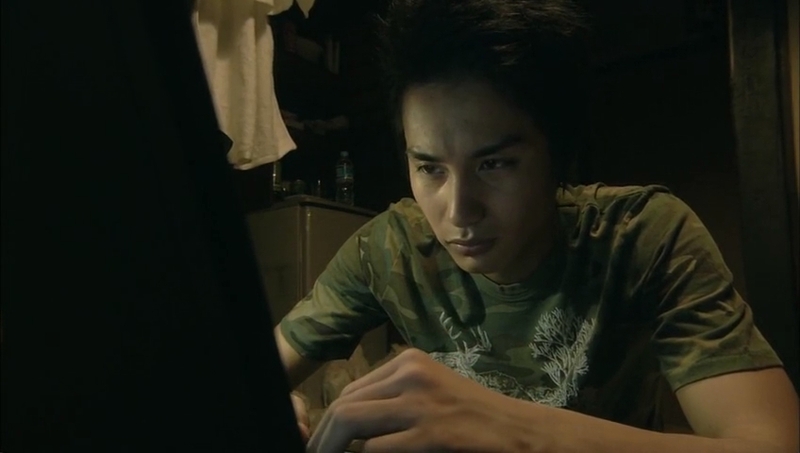 Nakatsu then explains that Kiyama wrote an article and the subject committed suicide. Thus Kiyama quit being a reporter and is even taking care of the man’s family. Now that catches Rei’s attention. Kiyama is hard at work at the Ward office and we flash back to him bringing an envelope of money to Kataoka. She throws it at him. She wants nothing to do with the man who caused her husband’s death. At this point Naoto complains of stomach pains. Kiyama takes charge and rushes the little boy to a hospital and even demands a regular doctor sees him when they are told there is no pediatrician on duty. And that is how Kataoka went from hatred to horrible, horrible dependence and clinginess. Rei returns the umbrella and thanks Kiyama once again for all of his care and help. Yoko is still having second thoughts about moving thanks to her girls’ stories and Kusano is trying to tell Rei about what happened, but can’t bring himself to do it. 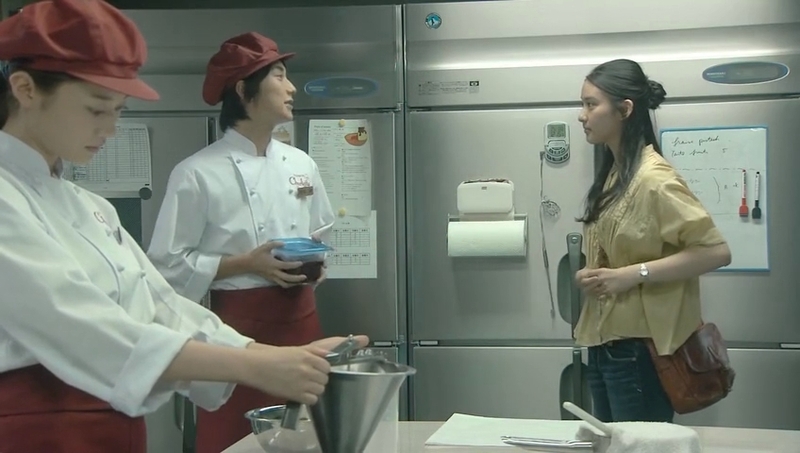 Rei finishes her prototype—a cute chocolate/apple bear cake—and Jun encourages her stay instead of resigning. So does Igawa and Abekawa and the others. However, it looks like Rei has made up her mind that she is leaving even if they are encouraging her to stay as she keeps talking about how this will be her final cake for the store. She takes the sample home where her mother and Mao approve of the cake. Yoko also brings up not moving. This makes the girls happy, but I don’t think it changes Rei’s mind at all. Why? D-day arrives and the cake is finished. However, the customer can’t come and pick it up. Rei goes to personally deliver her final cake and is floored when Kataoka opens the door and invites her in. We then get a slightly psychotic scene in which the agitated Kataoka tries to make them look like a happy family to Rei. Naoto calls his mother out on her weird attitude and Rei leaves. Kiyama then says to Kataoka that they are not like that and goes after Rei. 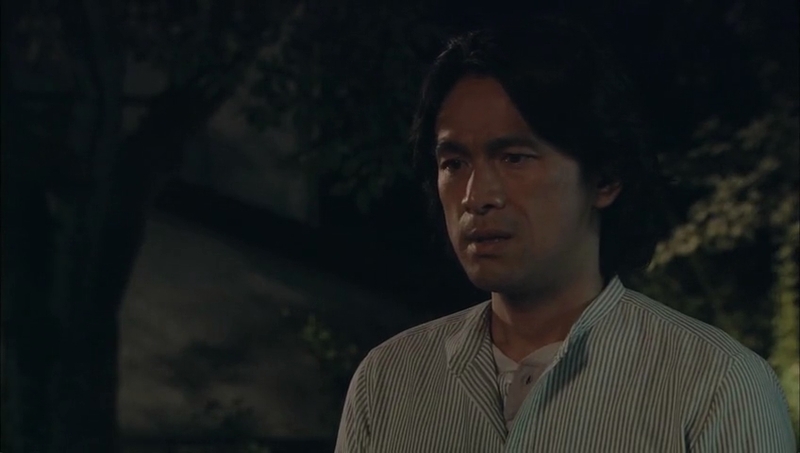 Kataoka breaks down and Naoto tells his mother not to cry. Kiyama catches up with Rei and the girl is angry with him. How can he stay trapped in the past in that cold home where no one is happy and everyone is hurting? Kiyama tells her that she doesn’t understand. Rei says she doesn’t, but he has always urged her to move forward. Shouldn’t he do the same? And this is how their relationship ends this episode—bitterly disappointing. Rei bids him farewell. She’s leaving and will never see him again. D’oh. Kiyama seems to really be hurting from these words and Rei seems to be smarting from that scene and her own words as well. Sigh. Dramas. See? NOTHING happened. The next episode doesn’t look any more promising. I knew they should have altered the plot and stopped at like 8 or 9 episodes, but no. Now this has turned into a major disappointment. I’m afraid I have to disagree with your assessment that nothing happened in this episode. The most important block in Kiyama’s and Rei’s relationship has finally been addressed as well as Kiyama’s own problems. After all, it’s not like they could really get together while Kiyama stays with Kataoka (lol- I just copied the name from your synopsis because I never could remember her name either). With the relationship with Kataoka resolved, they can finally be together (hopefully) and the previews show that the relationship with Kataoka is being resolved in the next episode. Moreover, I think that the addressing of Kiyama’s problems puts Rei and Kiyama on more equal footing. Before, Kiyama seemed a bit more inaccessible and more mature. Now, we see that he has his own problems and needs Rei’s help (for once) resolving them. I suppose, Kataoka could be considered a physical representation of Kiyama’s unresolved past. Also, I think this episode really makes clear the extent of Rei’s feelings for Kiyama given how she immediately breaks away from him when she learns of Kataoka and the child. She also tells him to forget what she said about ‘saving’ me. She also berates Kiyama for causing Katoaka such pain. Though it might have been disappointing to watch, I think that it will give Kiyama the kick he needs to break up with Kataoka because he clearly cares a great deal about Rei. I think he had been just trying to avoid the situation entirely (especially given how he obviously tried to keep Kataoka from meeting Rei) which of course, simply won’t work. All of that being said, some of the episode was rather pointless. I don’t know why Kusano(?) is still in the picture. He doesn’t seem to serve much purpose at this point. I don’t think the reporter is that necessary at this point either. The other things that happened where necessary plot devices (the cake making, Rei’s breaking away from Kiyama, Ayukawa’s condition worsening, etc) were again necessary but a bit boring and difficult to watch. Although I like the understated nature of Rei’s and Kiyama’s relationship, it made it difficult to watch the necessary but painful regression that occurred in this episode. 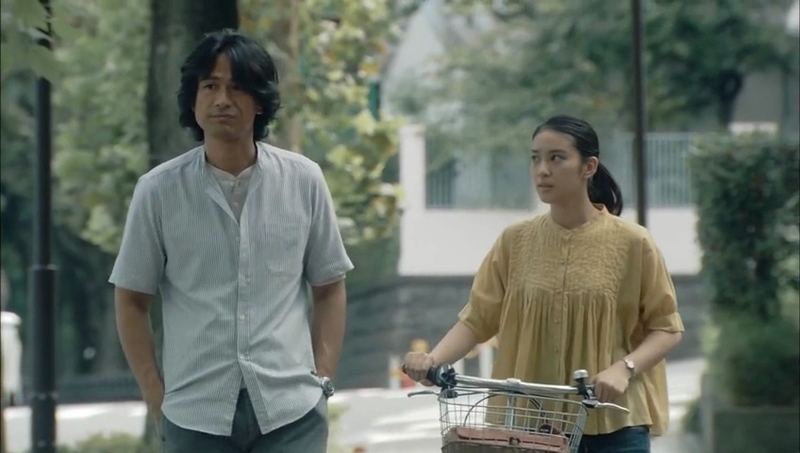 I confess, I have a weakness for understated dramas/scenes/relationships after having seen so many over-the-top ones but they do have their downsides. On a side note- Although I despise Kataoka’s character, I thought that the actress did an excellent job on the ‘slightly psychotic birthday scene’. It was very believable to me at least. 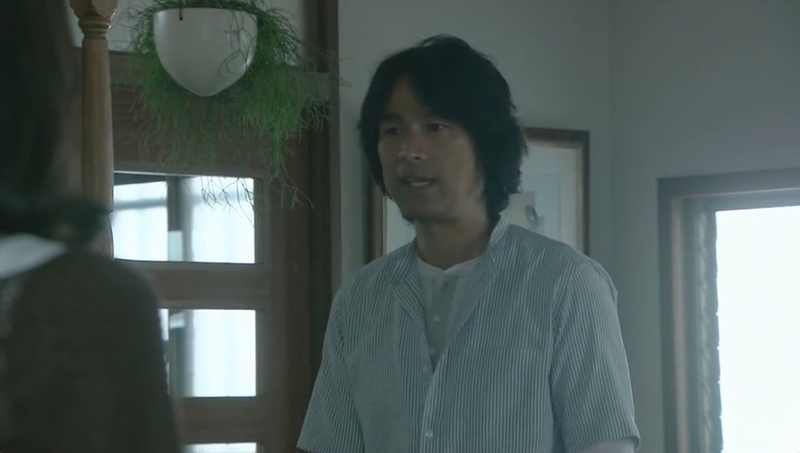 Also, I don’t know what is up with Ayukawa’s weird back pains. Maybe the tumor is pressing on the sensory nerves that are correlated with his back? I don’t know. All of that being said- the reasoning used above was mostly based on what I like to call drama-logic. In real life, I like to think people are more sensible but of course, that isn’t always the case either. I know that when it comes to great strides in finally getting both characters’ feelings recognized, this episode had that, but at the same time, there was a lot that just didn’t seem to be needed since our cast keeps going in circles instead of addressing things head on. To move or not to move? To quit or not to quit? I like how Rei’s cold words really seemed to effect Kiyama. He was the catalyst and support when she needed it the most, and now it’s her turn. Yes, she’s made him more open and happier, but now she just might be able to shove him forward. I’m hoping for that. I am hoping that the next episode does bring Kiyama closure about his past at long last and I wonder just what the truth is about Rei’s dad. 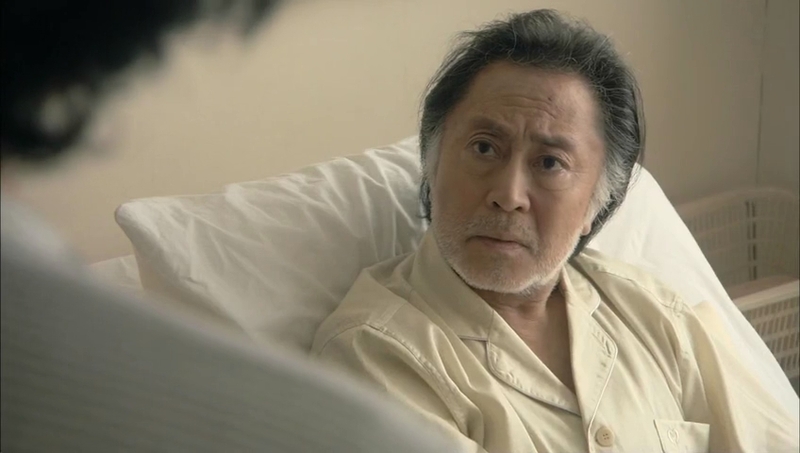 I do feel a bit bad for Ayukawa since you learn he probably turned out the way he did from losing both parents at an early age. That’s no excuse for his actions, but you kind of understand him a wee bit better. He has no one. Well, him having no one now is his own fault. *Spoiler for ep 10* I think I was way too optimistic. Kiyama actually filled out a marriage form for Takoaka!!! Argh! The preview for next chapter didn’t seem that great either. Why is it turning out like this!? I want my x number of hours I spent watching this show back! Frankly, it didn’t seem like number 11 is the last episode from the previews because nothing seemed to get resolved. I’m beginning to think that nothing ever will! I’m going to watch ep 11 on the off chance that it changes my mind but I’m really disappointed to see a promising drama fizzle out like this.